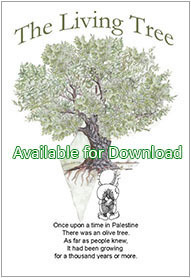 Plus: LAUNCH of new Students for Palestine Zine. PUBLIC FORUM organised by Coalition Against Israeli Apartheid and Students for Palestine (Victoria). 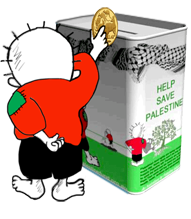 Since its launch by more than 170 Palestinian civil society groups in 2005, the Palestinian Boycott Divestment and Sanctions (BDS) campaign against Israel has gone from strength to strength with trade unions, student groups, church groups, artists and other sectors of the community announcing their support for the campaign. 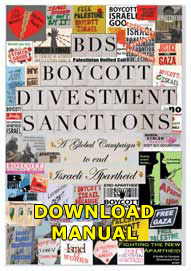 Inspired by the struggle of South Africans against apartheid, the Palestinian-initiated BDS campaign is conducted in the framework of international solidarity and resistance to injustice and oppression and calls for non-violent punitive measures to be maintained until Israel meets its obligation to recognise the Palestinian people’s inalienable right to self-determination and fully complies with international law. With the growth in support internationally for the Palestinian BDS campaign, there has also been an increased attempts by opponents of this non-violent campaign to undermine the right of pro-Palestine activists to free speech and freedom of assembly. Utilising“lawfare” tactics, the Israeli government and its supporters have sought to exploit the legal system in order to censor, intimidate and silence critics of Israel’s occupation and apartheid policies both inside Israel and internationally. While previous lawfare attempts to criminalise BDS and pro-Palestine activism in France, England, Scotland, the USA and Australia have failed, currently in Australia and France pro-Palestine activists are facing the possibility of criminal charges for standing up for Palestinian human rights. JOIN US: for this very special public forum with special guest speaker, Professor Emermitus Stuart Rees, who along with Professor Jake Lynch from the Sydney Centre for Peace and Conflict Studies are facing possible legal action for their principled stand in support of Palestinian human rights and the BDS campaign. Both Professor Rees and Professor Lynch have been targeted by the Israeli group, Shurat HaDin who have lodged a claim against them and the BDS campaign with the Australian Human Rights Commission. Professor Rees will discuss the current lawfare attacks on himself and the BDS campaign. Also speaking at this forum will be Naomi Farmer, one of the 19 non-violent pro-Palestine activists arrested in July 2011 during a peaceful BDS picket outside of a Max Brenner Chocolate Bar in the Queen Victoria Building in Melbourne. One year after her arrest, Naomi, along with the other arrested activists in a legal victory for pro-Palestine activism were acquitted of the substantive charges brought against them. Naomi will speak about the Max Brenner 19 case and the importance of standup for our right to free speech and freedom of assembly. Joining the panel will also be Nada, a Palestinian activist with Students for Palestine who will discuss the current lawfare attempts taking place inside Israel.